The Informal meeting of the EU foreign affairs ministers (Gymnich) takes place during January 31st – February 1st 2019. This is a traditional reunion of the foreign affairs ministers, held during the mandate of each six-months Presidency of the Council of the European Union, hosted by the country that holds the Presidency. The reunion was presided by the High Representative of the European Union for Foreign Affairs and Security Policy, Vice-President of the Commission, Federica Mogherini. 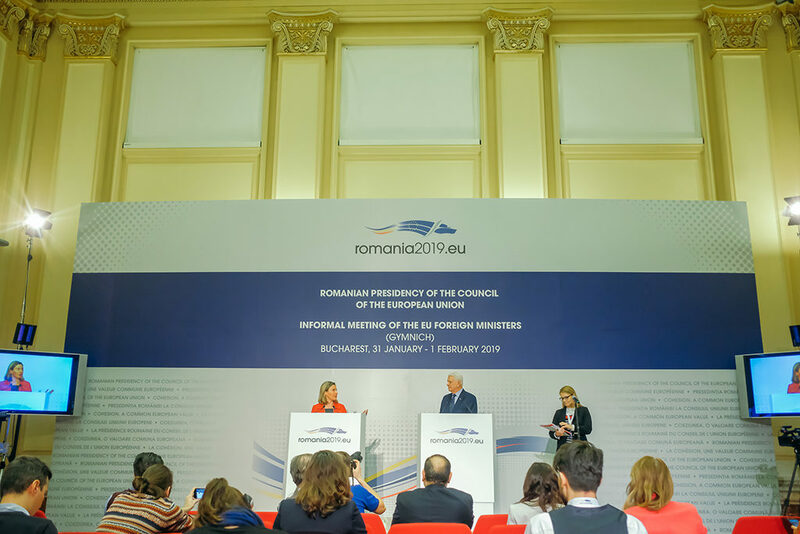 Federica Mogherini and the Romanian foreign affairs minister, Teodor Meleșcanu, held a press conference (video source: Romanian National Television).